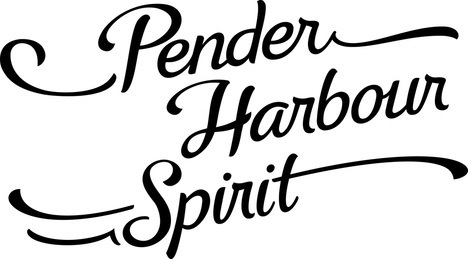 Pender Harbour is a community of about 2500 residents living in an area of sheltered bays and forested mountainsides about 70 km northwest of Vancouver. It is comprised of three distinct communities: Madeira Park, Garden Bay, and Irvines Landing. For thousands of years, it was the principal winter settlement of the shishalh band, but after a devastating smallpox epidemic in 1865 most surviving inhabitants relocated to Sechelt. New settlers began arriving in the early twentieth century, attracted by the accessible moorage, abundant fishing, and good timber. Soon the Union Steamship Company made the hotel and wharf of pioneer Joe Gonsalves at Irvines Landing a regular port of call. Between 1930 and 1964, the original St. Mary’s Hospital in Garden Bay was the only hospital serving the Sunshine Coast from Gibsons to Egmont. Logging, fishing and boat-building supported the harbour in the later years of the twentieth century. Today the community is a blend of energetic retirees and younger workers in the resource-based and service industries. In 1860, the Sunshine Coast was mapped by Captain George Henry Richard aboard the HMS Plumper. 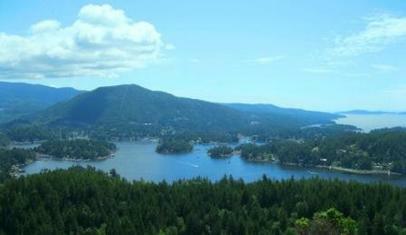 Richards was responsible for naming several landmarks on the Sunshine Coast. Names appearing on his map included Pender Harbour, named after Daniel Pender, the Master of the HMS Plumper. Until a very rough road connected Pender Harbour to Sechelt in 1936, travel was mainly by water. Boats of all kinds visited harbour shores - dugout canoes, fishing boats, steamships, mission boats, forestry boats, school boat ferries, work boats, pleasure boats. From 1900 until the early 1950s, Union Steamships delivered passengers and supplies to Irvine’s Landing, site of a busy hotel and general store. “Boat Days” was the highlight of the week for the locals - an opportunity to socialize while awaiting the steamship’s arrival with items they had ordered through the Woodward’s catalogue. Starting in 1904 Coast Columbia Mission ships periodically visited the harbour and other remote communities to provide medical and spiritual care. After the opening of St. Mary’s Hospital in Garden Bay in 1930, work boats delivered injured loggers and fishermen from outlying areas to the hospital. 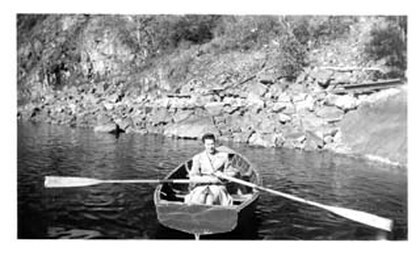 By the 1950s, forestry boats were based in Madeira Park awaiting the call to fight forest fires in surrounding areas. In the early to mid 1900s, logging and fishing were growing industries. Herring salteries in the harbour worked around the clock. Local shipwrights built boats for the fishing and logging industries and for recreational use. Boat building ways dotted the shoreline of the harbour in the 1950s when the industry was at its peak. Women operated small “kicker” boats, and their finicky engines, to take their children to schools across the harbour until the first school boat ferry began in 1940. It was a time of festivals. The Regatta, which began in 1947, featured boat races, diving and log rolling competitions as well as decorated boats. The Fishermen’s Homecoming celebrations in October welcomed fishermen back to the harbour after a summer’s fishing in northern waters.